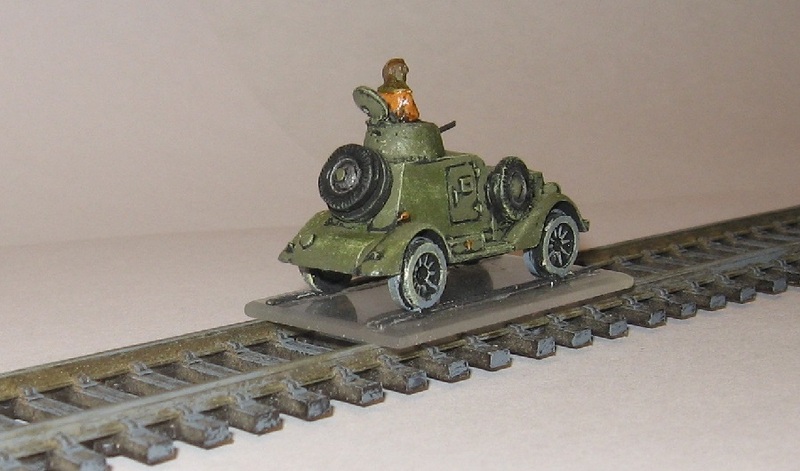 The Zhd is the rail scout version of the Battlefront model … made by substituting some rail car wheels from one of my Thomas the Tanks Engine finds. The turret is an adapted swap from the QRF but with the BF hatch (more anon). 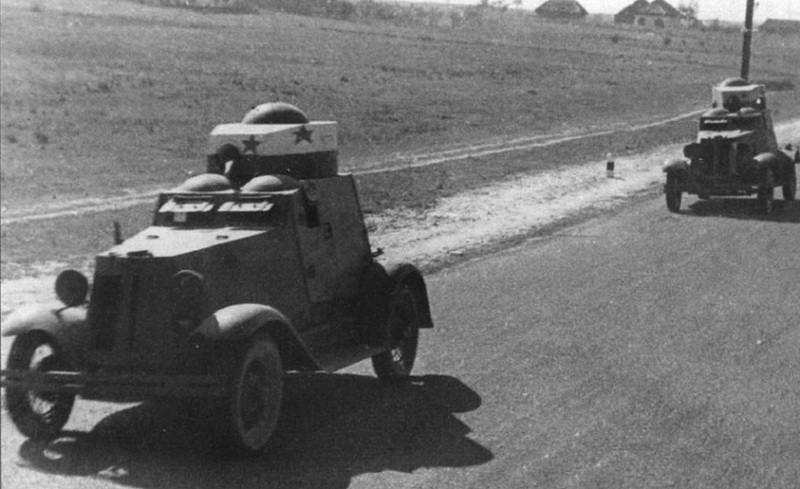 BA-20 BhZs often took their road wheels with them, as this one does, so could refit for normal driving. 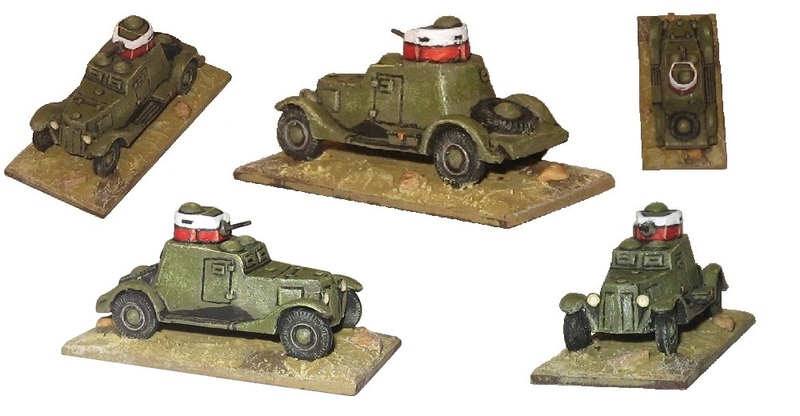 Back with the Soviet armoured car assortment, a clothesline antenna was added to a repanelled QRF FAI from brass wire (another modelling feature which I will add today) … easy to do and a nice addition. The turret is the other half of the swap … i.e. 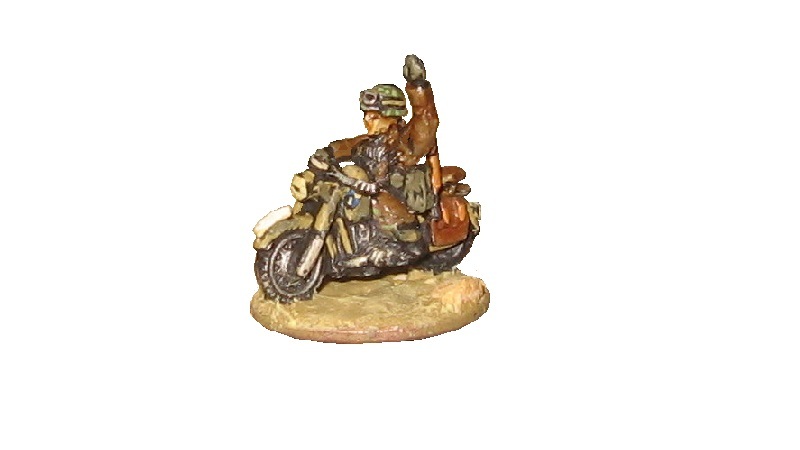 it is Battlefront, as is the spare wheel cover, both donated from the rail scout version. The driver’s viewing hatch is open. The model has flat armour, but my black insert sort of gets the under sloping from some angles … No front bumper on mine, which is quite normal. I think the model catches that jaunty look the FAI has (it seems to think it is quite a beast – which, of course, it isn’t). I am delighted, now, to have dedicated LOG for SP artillery units. 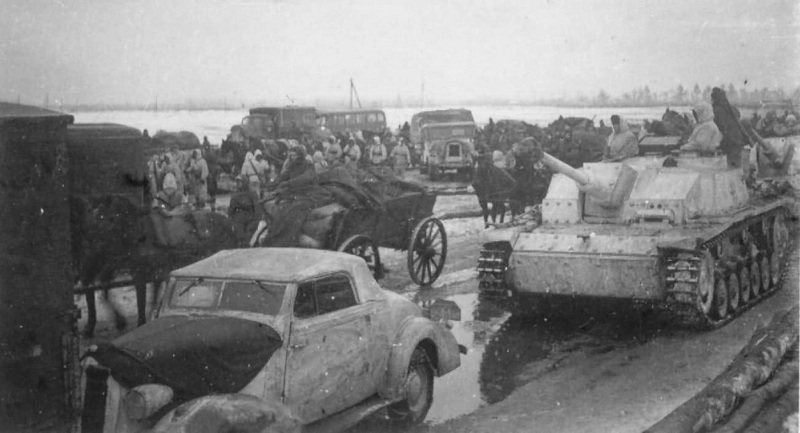 In addition, 22PD now has the ability to tow its broken babies off the battlefield … I thought it would be inappropriate to allocate such a lightly equipped division something like a Bergepanther as a repair stand but have seen a number of pictures in which standard agricultural machines are towing broken or bogged vehicles out East. I think it does the job. 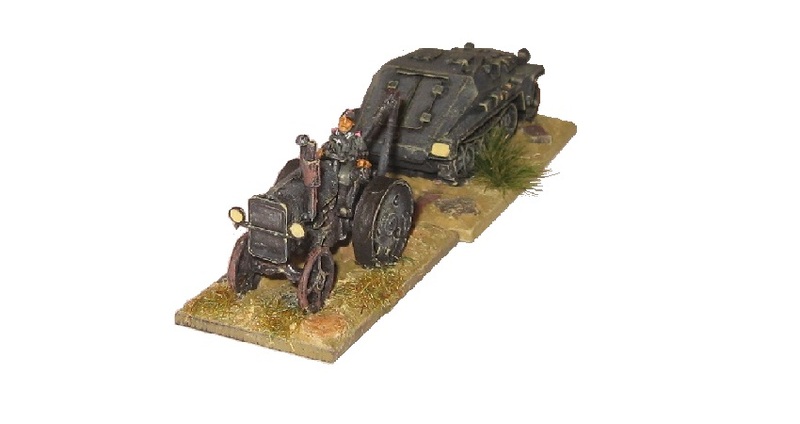 The driver is a BF spare, the front wheels from an Egyptian chariot, the radiator from a Zvezda truck … but it a QRF tractor underneath. 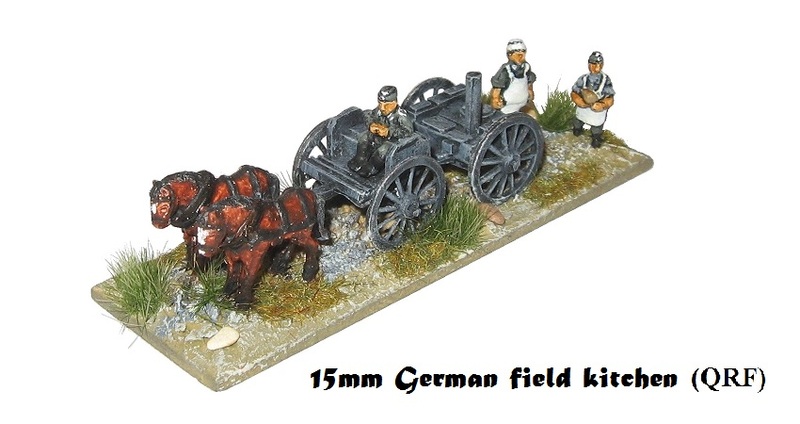 I mention all this as I know some enthusiasts these days like the VBCW narrative – and I guess if you do olde farm gear may be of interest. QRF file it under ‘miscellaneous’: it is basic but I like it. Adapted or ‘as is’. Like the intro said, lots of bits and pieces … but quite a lot of boxes ticked, too – and that’s not really where my main effort has been going! Christmas is coming. You have been busy Phil! 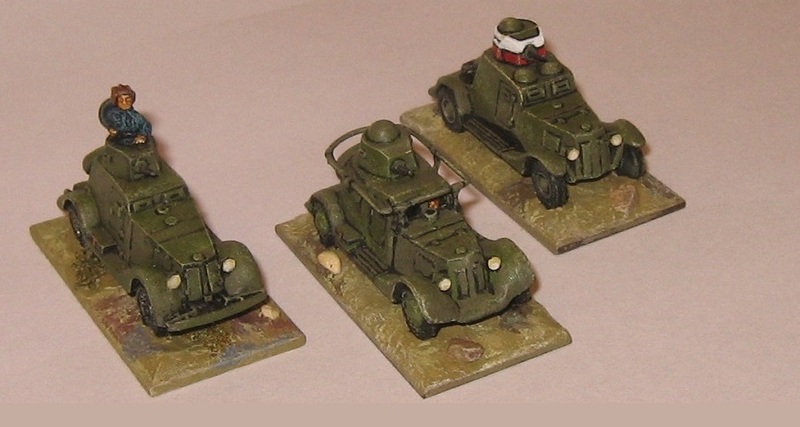 I’m especially impressed by the BA-20 radio car and the staff car. 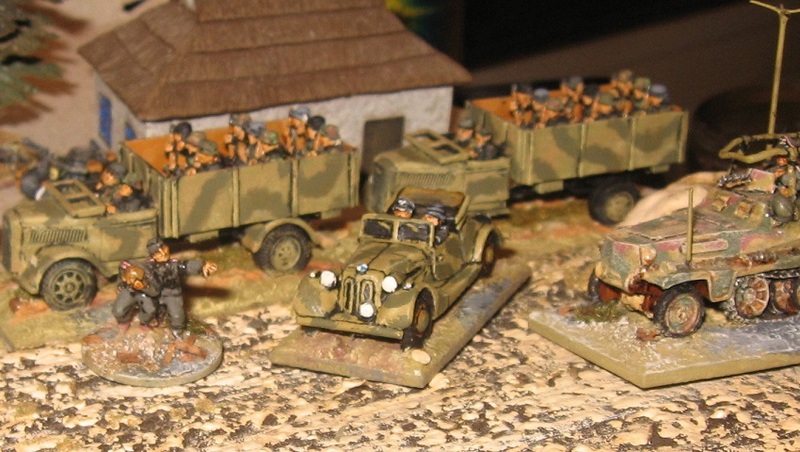 Thanks Chris – I think my favourite is the 22 PD Repair Unit (aka requisitioned tractor) but of the armoured cars project, the FAI and, of course, the staff car … I had been daring myself to do it for a while: the idea of cutting back to the car under the added boiler plate is obvious enough but seemed to have the potential to ruin a perfectly reasonable model without guaranteeing a decent outcome. So I am well pleased that it turned out as well as I’d hoped and was both easier and quicker than might it have been. 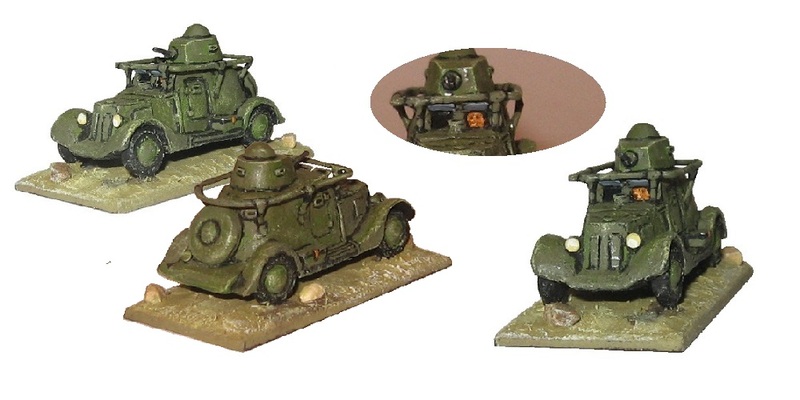 (two more repair vehicles on the way, proper ones this time …) ..